Today was my first work day at Shevet and I had the blessing of visiting the children and families at Sheba hospital. 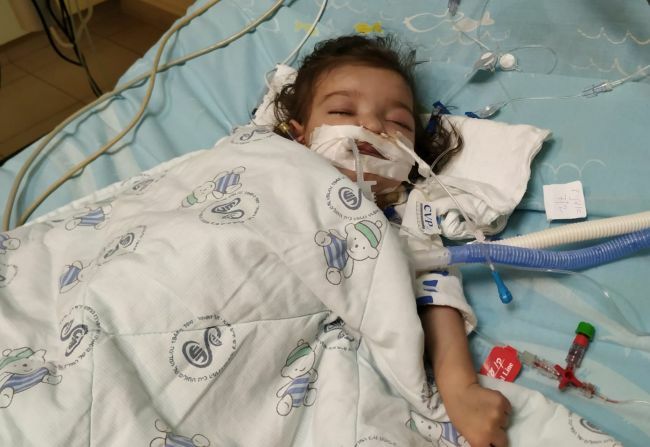 There are many differences between pediatric Intensive Care Units in Israel and the United States, but one thing that remains the same no matter the location is that first feeling of helplessness when you see a little one intubated, depending on tubes, many medications, and the wisdom of the doctors and nurses in order to live. However, even if I cannot make medical decisions here, I am at peace knowing that we serve a great God who knows and loves each of us and especially each of these children. He gives wisdom to the doctors. He nudges the minds and hearts of the staff to be alert for changes in status. He fills our hearts so we can give more of ourselves to the families so they may know Him. As you see, Marya remains sedated and intubated, and with chest tubes in both lungs. Today she received a chest x-ray and CT scan to assess the fluid in her lungs. Please pray for healing and for her body to absorb the fluid in her lungs. Pray for her mother as she waits for good news, her mother has been quiet and hopeful. Today we thank God that He is our Comforter as we wait for improvement and healing.